An abstract for the WPC is a short (maximum of 2,500 characters) written description of the subject and contents of your proposed poster. An abstract is submitted for review, and serves as an application to present a poster at the WPC 2016. After you submit your abstract, it will be reviewed by members of the WPC leadership, graded, and a decision will be made whether or not it would make an appropriate poster for the WPC 2019. If it is selected, you will be notified via email and at that point will need to begin working on the actual poster itself deciding how to display your work. A poster is an actual poster made of paper that is created to display the subject matter of your written abstract to the public. A poster combines the text of your abstract with graphics to make a visually pleasing presentation of your subject matter. As viewers walk by, your poster should quickly and efficiently communicate your information. Posters allow viewers to study and restudy your information and discuss it with you one on one. You might think of it as a "one-page power-point” — a display that combines text and graphics to catch the eye and hold the viewer's interest. First, we strongly encourage you to recruit a local health professional to help you think through your project and your abstract before submission. The abstract of your project should include an introduction, methods used to show the validity of your initiative or project, outcomes, etc. For example, do you have evidence that your program is bringing about change, such as a questionnaire or survey of patients affected by your program, or photos documenting change in health or posture before or after your program, or the results of your fund raising program? Maybe you hold town hall meetings with your political leaders and you can show that these communications are making change for the better. Share the details on how your group is actually making a difference with your program or project. The whole point of abstracts and posters (the poster being the actual display of your abstract, which is explained above) is to show what you are doing in a professional setting allowing people to talk to you about your work and to offer a chance for an exchange of ideas and possible collaborations. Posters are simply large, vertical or horizontal posters, with the details of your abstract printed in a way that will explain your project. You are able, in the poster, to elaborate and add additional details to your project, but it all needs to be contained in one poster for easy digestion by the readers and should include the aspects you submitted in your abstract, but in an elaborated manner. Printing posters: Fujiya, the official decorator at the International Conference Center Kyoto (ICCK), is offering poster print services, including delivery to and installation at the ICCK. Details, regarding file format, costs and deadlines, will be posted here shortly. QR codes are two-dimensional matrix barcodes that can be encoded with information. 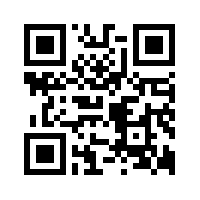 The code must be scanned with an iPhone, Android or other camera-enabled Smartphone using a QR code reader application. You can link the code to digital content on the web. We will accept these codes on printed posters if you want to direct people to more information on your abstract's data. The WPC 2019 will accept poster abstracts from both health professionals engaged in research as well as from the community of people living with PD who are involved in activities and programs that are creating change for the PD community. Read about abstract topics and get ready for a lively poster session! Topics detailing initiatives that make a positive difference in living with PD. Examples might include fundraising or awareness campaigns, appeals to change government policy, projects to elicit feedback on the current status of managing the condition, or programs designed to improve communications in the world of Parkinson's. Individuals, teams, and organizations are encouraged to make submissions. See samples what people submitted in 2013 by downloading the Abstracts of the WPC 2013, or the Abstracts of the WPC 2016. Not sure about submitting a poster? Will the WPC 2019 be your first scientific meeting? Don't let this keep you from submitting something. If you have a program or project you consider valuable to the larger PD community, talk to your peers and local support or organization about working on the poster together. This is a great opportunity for good projects and programs to be shared. What one group is doing in Small Town, USA may work well for another group in Small Town, South Africa. We will not know until the ideas are shared and discussions are had whether or not programs can be emulated and impactful in other settings and cultures. While scientists and other health professionals are used to seeing poster displays at meetings, this may be a new idea for you. Please don't let this intimidate you. See below for more information that will help you to understand the steps required to exhibit a "Living With Parkinson's” poster at the WPC 2019. Maximum poster size is 670 mm wide x 1180 mm high (approximately 26.3” wide x 46.4” high). Posters cannot exceed these dimensions. For assistance in printing your poster in Japan, Fujiya, the official decorator at the International Conference Center Kyoto (ICC), is offering print services, including delivery to and installation at the ICC. Details, regarding file format, costs and deadlines, will be posted here shortly. *All abstracts accepted require onsite representation by the contributor during the WPC 2019. Learn more about the abstract submission categories and guidelines.